Easily identified by their signature red jet engines, SAS Scandinavian Airlines flies to its main hubs in Copenhagen and Stockholm from seven North American cities. With an Airbus fleet of A330 and A340 international aircraft, this Star Alliance partner can be your ticket to Europe. In 2016 SAS will have completed a retrofit of their international cabins, including a fantastic new business class product. 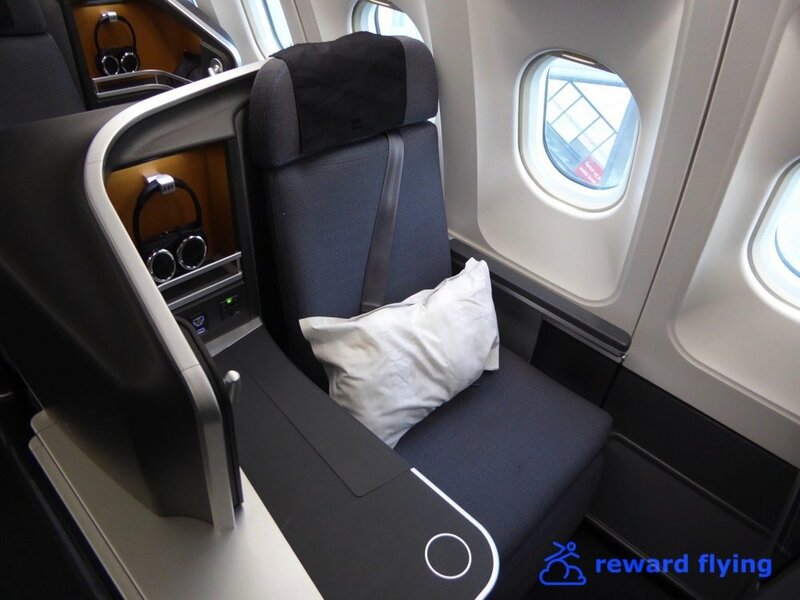 International flights on SAS feature a new business class product which has received positive comments from premium class travelers. The seat selection is the Thompson Vantage XL, similar to the Qantas new A330 upgrade. From armrest to armrest the seats give 23 inches of width and the bed is 77 inches extended. A 1x2x1 configuration allows direct aisle access for all passengers. With an objective to create the best sleeping environment possible, SAS has partnered with the Swedish firm Hästens, a specialist in high quality bedding products to create pillows, blankets and mattresses, all branded with their trademark blue and white checkmark patterns. Food and beverage include champagne, a selection of limited vintage wines, multi-course meals with a least 4 main selections, cheese and desert. A second meal service is offered before landing. Furthermore they have installed the SAS buffet where business class passengers can walk up and select from an assortment of sandwiches, chocolates, coffee, expresso or soft drinks. For a video tour of this impressive new cabin click here. SAS also offers free WiFi for business class passengers. Have you flown on Scandinavian Airlines? Share your experience with others in the comments section.